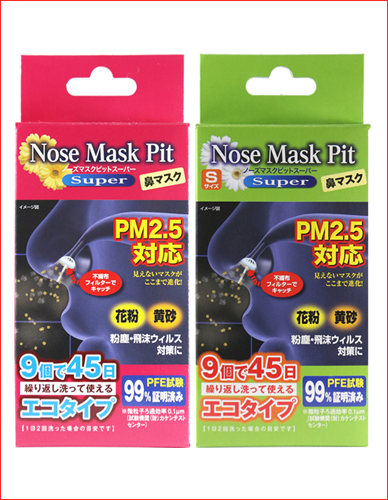 Nose Mask Pit Super || Bio-International co.,ltd. 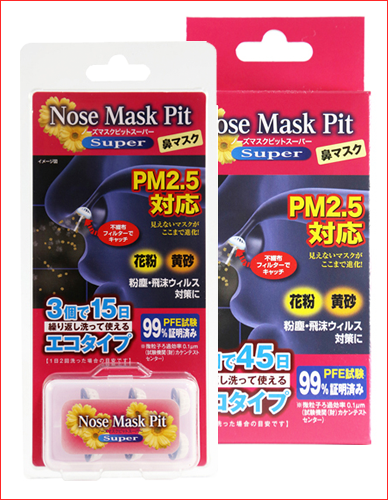 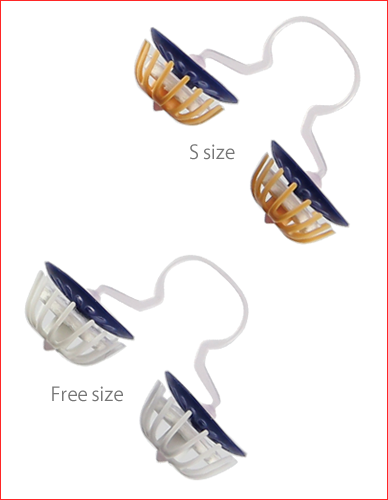 ・This mask is not noticeable, because it is inserted into your nose. 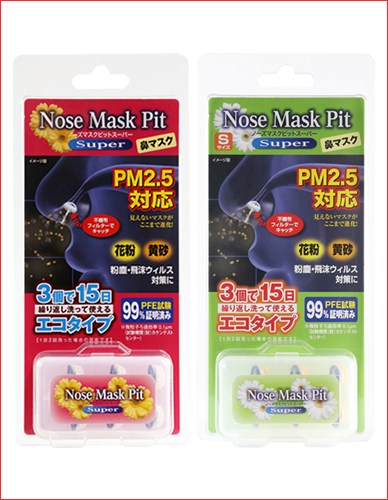 ・Its double layer of an N95 non-woven material and a high-functioning special sponge cuts PM2.5 and other particulates, viruses, pollen, and dust by 99%, and absorbs mucous. 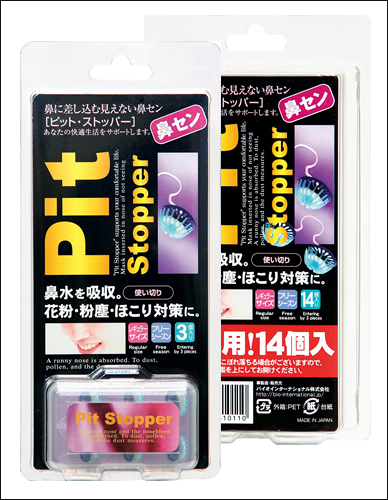 ・Very soft covers make it comfortable to wear. 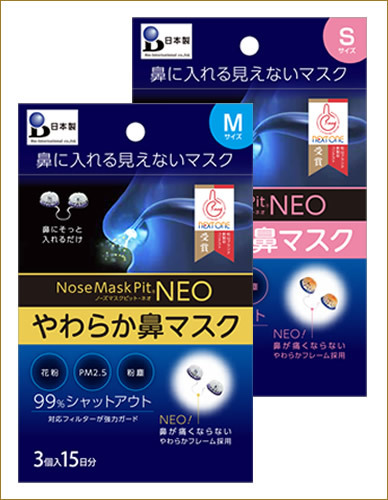 ・Soak in water first and insert into your nose after squeezing out the water. 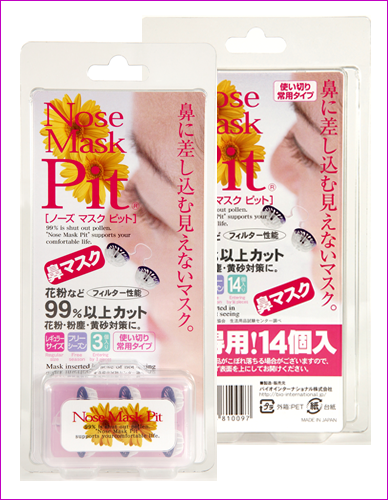 ・It can be washed with water and reused up to 10 times for 3-5 days each time.